handling, rope-work and will be aware of safety on board. 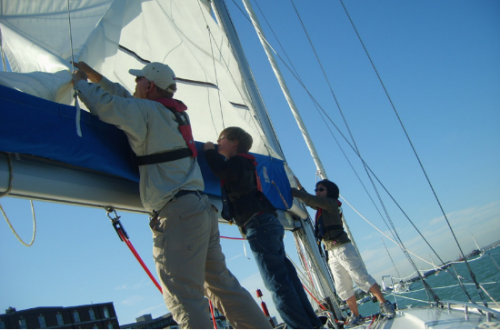 Competent Crew course in a reduced time of an additional three days. This course assumes that you have no prior knowledge of sailing. emergency equipment and precautions, and meteorology. course, which is normally run over a weekend. shoes, sailing gloves, cap, beanie and sun block. An inflatable PFD yoke and harness is provided.